Materials often undergo rapid photochemical degradation under the influence of sunlight, unless they have been stabilised in a durable fashion. A number of factors of uncertainty are inherent in the procedure, so comparisons should be available between the method used and exposures in the environment in which the product is to be used. Ultra voilet degradation may be indicated by the softening of the material, so that the outer surface may be rubbed off or plucked off, and in extreme cases, the outer surface may become powdered. Certain types of UV stabilising additives are rapidly leached out, especially in an alkaline environment, which should be taken into consideration in applicable situation. The performance of UV stabilised additives may be affected by colour and the type of pigment used. 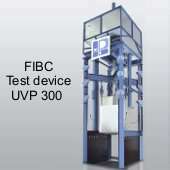 Therefore, each combination of UV stabilising additive and pigment should be tested separately. 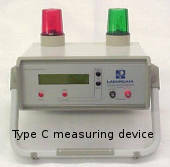 The test apparatus shall be in accordance with ASTM G53/96 using a flourescent UV-B lamp. The specimens are alternately exposed to UV light alone and to condensation alone in a repetitive cycle for at least 200 h using a test cycle of 8 h at 60 C with UV radiation alternating with 4 h at 50 C with condensation. 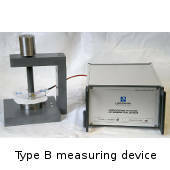 After exposure is complete, the specimens are checked for breaking force and elongation at break in accordance with ISO 5081 and the values are compared with results performed on simultaneously cut test specimens that have been stored under dark and cool conditions. All load bearing materials of the FIBC shall, after tested retain at least 50% of the original values of the breaking force and elongation of the materials.